When Sentinel Totem enters the battlefield, scry 1. Exile Sentinel Totem: Exile all cards from all graveyards. I think your sideboard could use some improvement. At the moment, you have very little to protect yourself against burn and other spells that would target you. Leyline of Sanctity would work well. As a budget alternative, you could consider Aegis of the Gods . You may also want to think about protecting your creatures with Mark of Asylum . 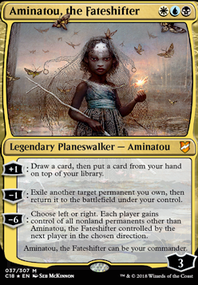 To make room for these cards, I would consider dropping Asceticism and reducing the number of Damping Sphere , Leyline of the Void , and Knight of Autumn . 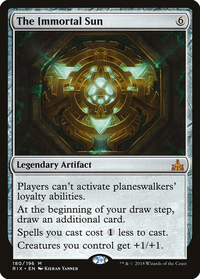 Especially Leyline of the Void, since you can't cast it (this slot would be better served by Rest in Peace or even Sentinel Totem in Selesnya anyway). You already have plenty of hexproof cards, so Asceticsm is expensive for the effect. Man I gotta say this deck is a lot of fun and is a surefire way to cause some rage amongst opponents. Definitely a pretty good build but I made a few minor changes. I think it’s worth adding a couple Demystify cards to deal with mill decks and I also use Profane Procession Flip which I found to be extremely useful for creature heavy decks (in addition to dishing out some hate depending on what you exile). I’m also curious how you feel about using Revival / revenge . 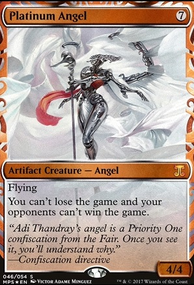 I’ve used a couple of them in my deck and in addition to Ethereal Absolution it can stifle a lot of different decks. I’d also advocate for using those Sentinel Totem cards like FastIsFaster said. After playing a graveyard deck I thought the totems would be very useful in addition to getting more artifacts to amplify Karn’s -2. All in all though man you put together a great deck that I’ve really enjoyed playing around with so kudos on the build mate! I love the idea! As far as your sideboard goes: 1. Hieromancer's Cage can be strictly upgraded with Ixalan's Binding 2. Risk Factor is a weird inclusion. 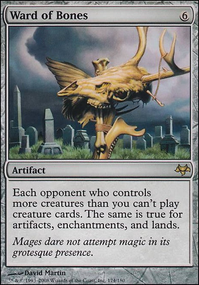 I'd swap it out for some graveyard hate, like Sentinel Totem 3. It's worth throwing in a bit of enchantment/artifact hate. 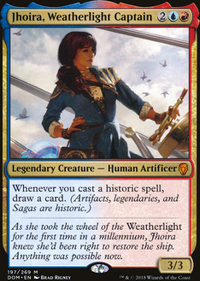 Expose to Daylight or Invoke the Divine work, depending on which is important to you, or even Demystify if you want cheaper and laser-focused on enchantments. How do you feel about a green splash? R/B are arguably the worst 2 colors for sideboards (with white then green being the best). Green would give you access to stuff like Raking Canopy as well as Simic Keyrune which is highly valuable to your deck. As for Tron, pick your flavor of land destruction. Crumble to Dust is my pick. They can win through almost any form of hate, even Blood Moon and Pithing Needle effects so you just need to be quicker than they are. Keeping them off Tron will makes things easier. Your actually decently tech'd against burn with Izzet Charm , Rune Snag , Lightning Bolt and Remand . If you need something more Kraken's Eye or Dragon's Claw can work wonders. I'm a personal fan of Amulet of Safekeeping as it's useful for against many decks and great against Storm. 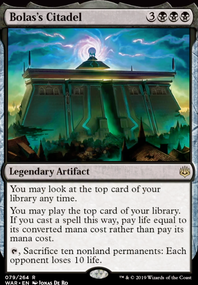 I also like Fountain of Renewal since it can be played turn 1 and involves no additional investment, plus can be cashed in if it gets to a point its not needed. As far as the graveyard decks, you could run Relic of Progenitus or Surgical Extraction without splashing. You could run Leyline of the Void but if you side it in you would have to commit to mulling for it. Sentinel Totem and Tormod's Crypt are decent as well. Liliana's Caress is good against Hollow One but you could use Hurkyl's Recall or Echoing Truth against it. Dissipation Field and Anger of the Gods can be good against Izzet Phoenix & Humans but you need to survive long enough for them to be effective. Damping Sphere can slow Phoenix. 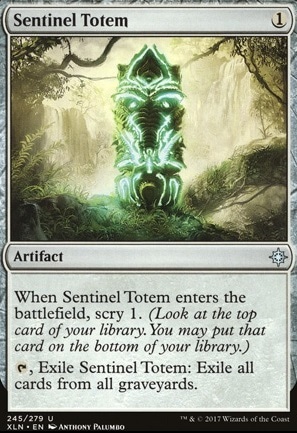 I would definitely include Sentinel Totem , that's an awesome suggestion!. I have not tested Dragon Hatchling , but it really make sense what you say here. It is worth to try it and see how well it works :D.
About Maelstrom Pulse , yes, that card is simply brutal, but also out of my budget, quite expensive one. One copy of Maelstrom Pulse would do work for you over one copy of Dragon's Hoard , playing a similar role of buying you time and cards, only at your opponent's expense instead. A Sentinel Totem or two may do more for you than Tormod's Crypt , considering the open mana in the early turns. While casting it T2 forecasts that you might not have a Terminate in hand, that's not information the opponent can always bank on, and you get a scry trigger from it (or two with the excellent Panharmonicon ). Have you tested what Dragon Hatchling can do as your T3 play off of a T2 Dragon Tempest ? Dragon Egg is an exciting card when it works, but getting to suspend a Search for Tomorrow in addition to getting a dragon might be worth a egg or two.